The 1982 Falklands War provided a good example of the execution of operations within a mature doctrinal framework, but where many of the equipment solutions had hitherto remained untested on operations. The crisis unfolded with little warning; 8000 miles from the home base. The response saw an extended sea voyage that allowed limited opportunity to condition for intense ground combat operations; then the loss of the Destroyer HMS Sheffield, the logistic ship Atlantic Conveyor, among its contents, five of the six Chinook support helicopters, troops without an automatic rifle, equipped with the most dreadful boots. There were further naval losses including the spectacular demise of HMS Antelope and the infamous Sir Galahad inferno. Yet the campaign was won because of the way military business was conducted; the greatest threat coming from the Argentine Air Force and naval aviation who conducted their business with considerable skill and bravery. It was, in the words of the Land Force Commander, “a damn close run thing”. Critical lessons were identified; not least in on-board ship protection and damage control. Such lessons have continued to be learned from incidents involving USS Stark (1987), USS Samuel B Roberts (1988) and the USS Cole (2000). The response within industry, has been to adapt, innovate and respond to policies that placed increasing emphasis on risk mitigation and personal protection. What follows is a short introduction to a multi-faceted industrial operation that supports those who find themselves in dangerous and life threatening circumstances. Scott Safety has a very proud tradition of keeping people safe. The company is a global leader in the manufacture of Life Safety Products with our principal plant based at the heart of the Industrial Revolution, in Lancashire, United Kingdom. Other manufacturing and support hubs are found in North America, the Middle East and Asia Pacific regions. The General Service Respirator, in service with the British Armed Forces. Demonstrating intent to survive and operate in a CBRN environment is a significant deterrent. 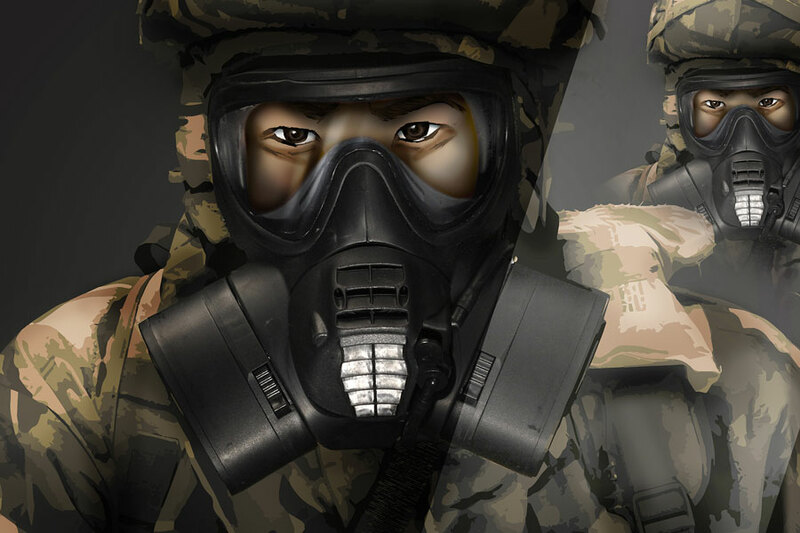 CBRN environments, smoke or poor air atmospheres all offer different respiratory challenges. Our product range includes military and civil defence masks, filters, powered breathing, Self-Contained Breathing Apparatus (SCBA) and escape systems, such as the Emergency Life Support Apparatus (ELSA); the latter arising from lessons identified during the Falkands War. Our expertise, at the cutting edge of respiratory protection technology, was further developed in collaboration with the UK MoD who accepted the Scott General Service Respirator (GSR) into service for their Armed Forces. Scott Safety have since produced the multi-functional GSReS ‘evolution Specialist,’ which offers modular breathing options from filter canisters, to SCBA from the same mask platform. The First Responder Respirator (FRR) completes the 21st century portfolio; with products offering superior protection, comfort, automatic sweat removal and modular specialist performance. A policy of 100% fit now sees the company offering the mask in five separate sizes. The Scott Patriot 5510 offers any combination of breathing options on a man-portable ‘backpack’ for highly trained specialist operators. Should air atmosphere contamination levels approach Immediate Danger to Life or Health limits, such as a decrease in oxygen levels or build-up of carbon monoxide in a confined space, the specialist can immediately switch from filter to SCBA. The power pack supports telemetry, GPS, a range of detection solutions, situational awareness and operator safety features. Full telemetry provides secure data to team members and the command centre. The specialist’s location, position (moving, static or prone), body temperature, pulse and breathing rate can all be monitored, as well as battery life and cylinder levels. Exothermic cutting equipment can be incorporated giving the specialist an additional breaching or exit capability. One cylinder can also be configured to rescue a ‘man down’. The company has expanded into thermal imagery with its acquisition of Infrared Systems Group (ISG) Limited. 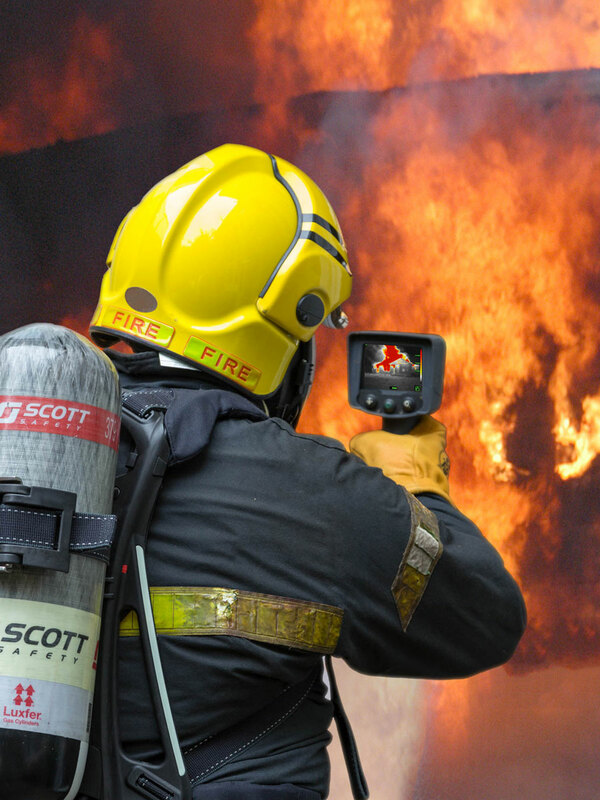 Last year, the Scott X380 thermal imaging camera was accepted into service by the London Fire Brigade after a rigorous trials and selection process. Most crises offer an element of isomorphic learning, such that the characteristics that support civil fire authorities and urban search and rescue operations may be transferred to fighting fires on warships. The X380 is already in service with naval damage control teams including the US Navy’s Carrier Force. Other X380 uses include man overboard scenarios, post flight aircraft hot spot checks, machinery exhaust leaks and similar. The X380’s large displays, high resolution and ability to function at higher temperatures than similar products, will help rapid scene evaluation; enabling critical tactical decisions to protect operators, save lives and maintain mission orientation. The X380 thermal imaging camera means rapid scene assessment; enabling tactical decisions to protect operators, save lives and maintain mission orientation. Innovation forms an enduring component of the company’s philosophy. Within the US, under our ‘Firefighter of the Future’ programme, the company has worked hand in glove with fire departments to produce the first of its kind in the ‘hands free’ integrated thermal imaging camera and mask – the Scott Sight. Scott Sight enables firefighters to move quickly through smoke, with hands free to work and conduct rescue operations. In the confines below deck, when the ship may be rocking and rolling, you need to work fast. Having ‘hands free’ is like having another set of hands. The Scott Sight has also been successfully tested aboard ex-USS Shadwell, the US Navy’s evaluation test laboratory in demanding afloat fire scenarios. An optional upgrade enables thermal video recording from the mask-mounted camera. 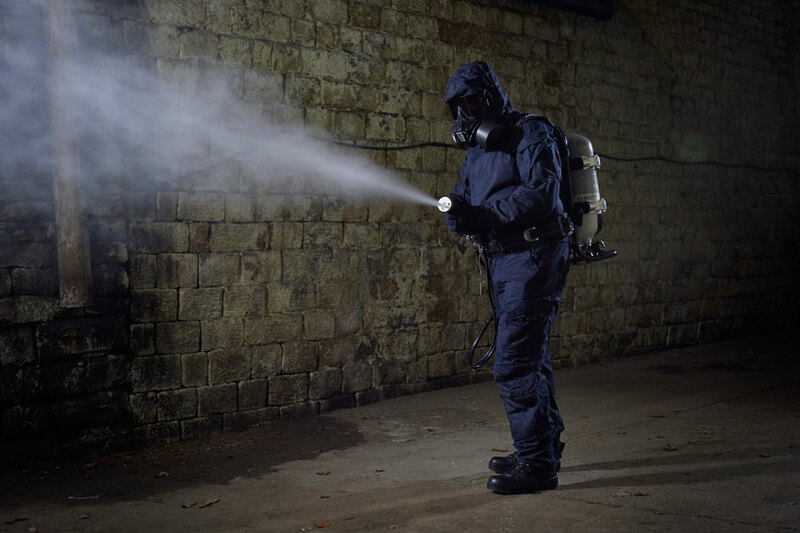 Scott Safety recently launched the Light Decontamination System, which is principally designed for the disinfection and decontamination of interiors and other specialist applications, such as the knock down and tie down of radiological particulate and respirable silica. Decontamination is often associated with copious amounts of water and flooding, but this is hardly an apt solution for a ship’s citadel, sick bay, galley or the holds of some prized strategic assets. The system’s effects see it rapidly dispense a turbulent, atomised plume of decontaminant/disinfectant out to 25 m to 30 m from a 4 litre decontaminant vessel. With just one litre, at 14 trillion droplets per second, its gas-like behaviour disinfects a 40 m³ space and ‘non-line-of-sight’ surfaces in minutes. The Light Decontamination System has multiple applications and is easily deployable in confined spaces. At 14 trillion droplets a second, the atomised decontaminant or disinfectant behaves like a gas, cleaning the air and non-line-of-sight surfaces. The two major wars of this century, the Gulf and Afghan Wars, have both been attributed to the prevention of use of CBRN weapons. Events in Syria captured their barbaric effects on the innocent and unprotected, while we still have ‘ungoverned space’ in the Middle East, North, East and West Africa occupied by a network of radicalised non-state organisations. It is a concern that they have access to toxic industrial chemical, biological and radiological materials. CBRN has been described as the genie in the bottle; albeit that cork continues to be loosened. We can hardly claim that CBRN doctrine is mature and tested and it is doctrine, derived from policy, which drives equipment solutions. Industry has a key role to play in delivering multi-functional solutions for scenarios that will remain relevant, while CBRN doctrine evolves and lessons are identified and enacted upon. Scott Safety is driven by technology, innovation and a moral component to enhance both operational performance and safety in the complex, physiologically and psychologically stressful circumstances that will inevitably arise in the future. 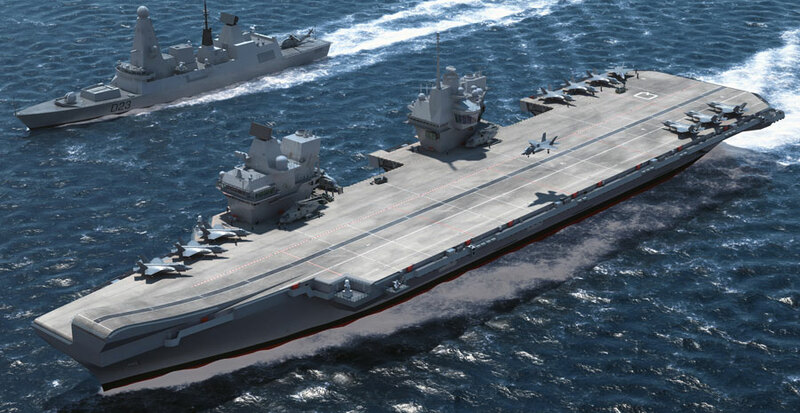 Our aim is always to attain a world-class performance and deliver operational excellence; so not too dissimilar from a tidy and well-run warship. Brian Clesham was the former Chief of British Army CBRN from 2006—2010 and Chief of Staff of the United Kingdom’s Defence CBRN Centre during its post 9/11 expansion to incorporate training for the Police, Transport Police, Fire and Ambulance services. He has supported both the UK MoD and Foreign & Commonwealth Office in senior NATO and OPCW counter-proliferation forums. He is a graduate of the NATO Defence College.